All pavement on this ride. 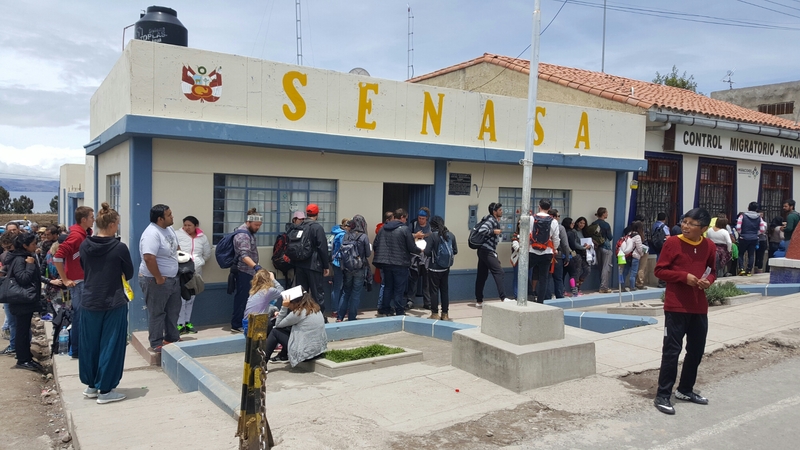 Lake Titicaca is huge and very nice scenery.A huge line at the border to go through customs to leave Peru, but once at the counter it went fast. 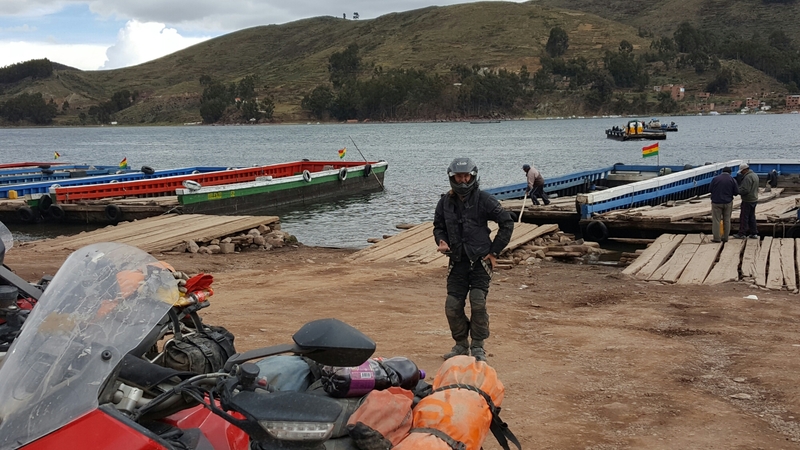 Motorcycle out of peru was fast, then into Bolivia we had to get a ten year visa for $160 usd, but paperwork was fast. 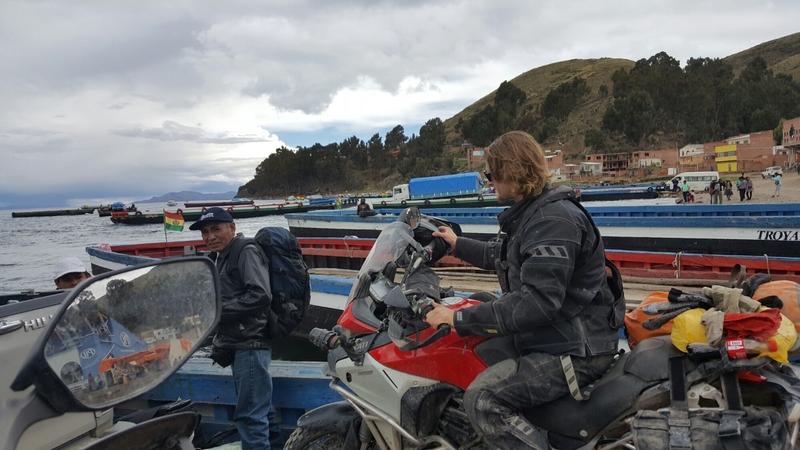 We had maxxx’s bike put in his name and going into Bolivia the paperwork this time was fast and no issues. 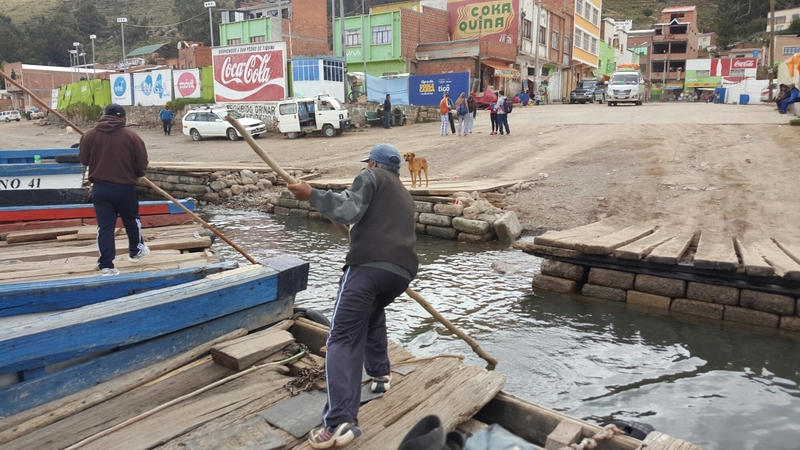 There was a very rustic but short boat ride into Bolivia. Rooftop of the hostel we stayed at. 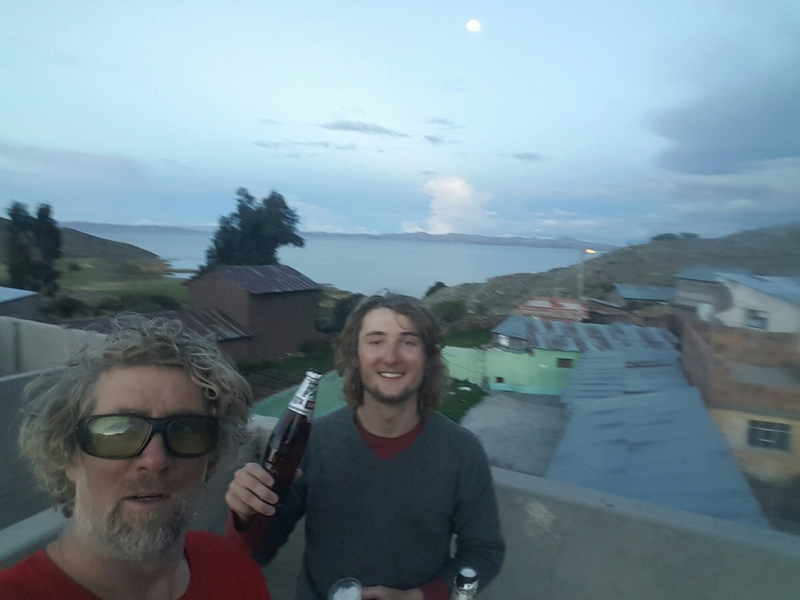 Lake Titicaca in the background. This is a long line for us, usually nobody in the lines when we cross borders. It wraps around the back of the building. Pushing off the boat from the ramp.maxxx almost dumped the bike over going from the ramp to the boat. Their really barges with a simple hand steer motor on one end. Blanks you drive onto are old, uneven, boards missing. While in LA paz bolivia maxxx and I were walking around in the local Plaza, park, and watching a young boy fly his drone. Next thing ya know it’s up in a tree. 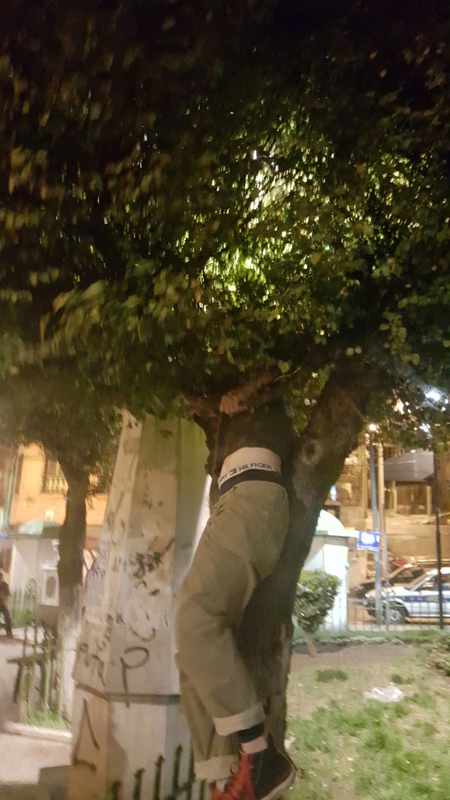 So…maxxx goes up the tree to get the drone, success. About six old men looking to help somehow were released and thanked maxxx for his effort. The young boy and mom were very happy as well.